This is just what we need after all that snow and cold. 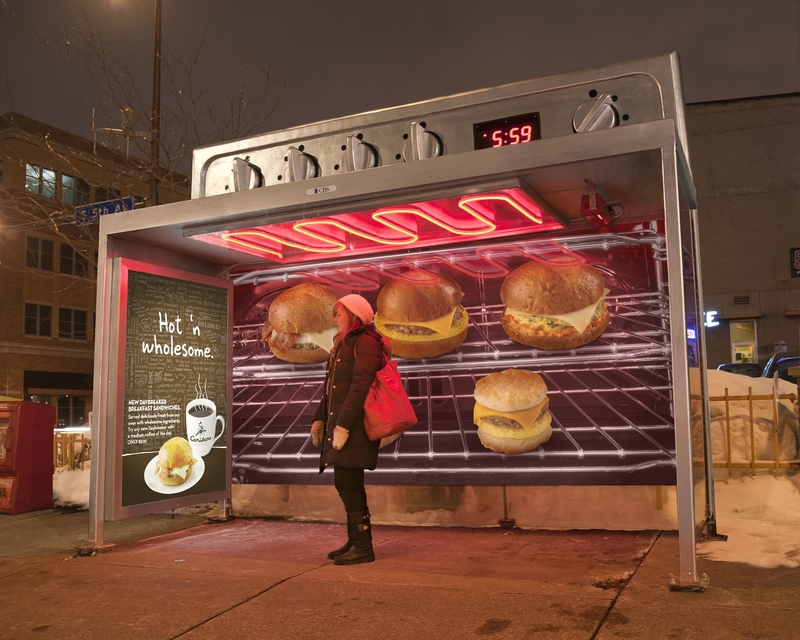 For Caribou Coffee, Colle+McVoy created transit shelters in Minneapolis that look like ovens, complete with real heaters, to highlight the "Hot 'n Wholesome" goodness of Caribou Coffee's new menu items. We think the work does a wonderful job conveying that warm feeling one gets when they have their favorite breakfast food and a cup of steaming coffee. Especially when it's as cold as it is outside.